The Goshen College Fund is the annual giving program designed to meet current operations. Funds given to the college by alumni, parents and friends are used during the year in which they are received to meet current needs, primarily scholarship support for current students. Each year the college contributes 14 percent of its budget to assist students in paying for their college education. 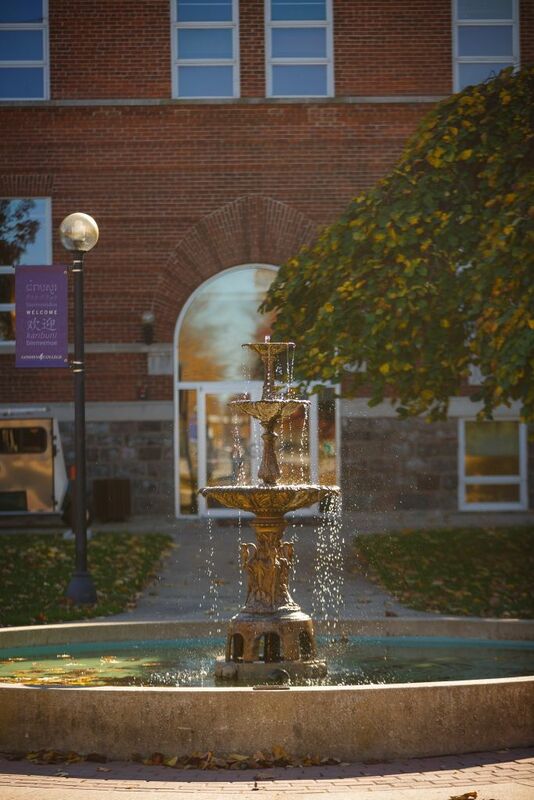 A gift to financial aid provides opportunities for deserving students to engage in the unique experience of a Goshen College education. Goshen College is dedicated to offering a Christ-centered education that prepares students for meaningful service to their communities, the church and the world. A gift to spiritual development supports our effort to engage students in learning to integrate faith and Christian values with educational and professional life. A gift to faculty development will secure Goshen’s ability to attract and retain the best teachers and mentors of young lives, to cultivate and sustain a vibrant academic community. We invite you to support the innovative international program that continues to distinguish a Goshen education from other national liberal arts programs. As part of the core curriculum, and therefore the annual budget, Goshen College makes a commitment to not only teaching, but experiencing a global perspective. Goshen College must be prepared to respond to the fast pace of technological innovations that transform and enhance the learning activities of students and to prepare them for communicating and working in a technology driven world. Goshen College Giving Clubs recognize annual donors who have distinguished themselves in support of the college. Join a Giving Club by making annual unrestricted gifts to the Goshen College Fund (between July 1-June 30). We invite you to learn more about each of these membership levels by contacting the development office. You can view last year’s donors at each giving club level in the GC annual report. As always, we appreciate your generous support. Please consider making a gift online.